The health and beauty of your smile relies on your home oral hygiene habits and the care you receive from your dentist in Plano. 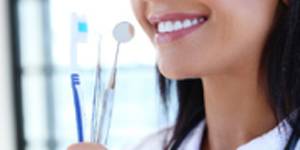 To maintain your dental care, you need the services to be affordable. To reduce your out-of-pocket costs, it is best to choose a dentist who accepts your dental insurance. 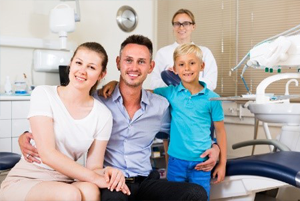 At Legacy Trails Dental, we are proud to be in-network with all PPO plans to provide you with the affordable, high-quality care that you need. Dental insurance is a little bit different than medical coverage. Your dental plan is designed to reduce your long-term cost for care through a focus on prevention. By paying your monthly premiums, you can see your Plano dentist twice a year for little to no out-of-pocket expense. In addition, you are given an allowance to use toward restorative treatments to keep your teeth and gums healthy. To make the most of your dental insurance, it is best to choose a dentist who is in-network with your insurance company. This means that they have pre-negotiated rates with your insurance to provide the services you need for a set rate. At Legacy Trails Dental, we are proud to be in-network with Blue Cross Blue Shield, Delta Dental, Cigna, Aetna, MetLife, and United Healthcare. We also work with patients who are not in-network with their insurance. By choosing a dentist who is out-of-network, you will have to pay the difference between your insurance’s allowable amount and our service fees. If you are not visiting your dentist regularly, you are placing the health of your teeth and gums at risk. To promote a healthy smile, you can maximize the value of your dental policy. Most polices cover preventive care like cleanings, checkups, and x-rays in full or for little to no out-of-pocket expense. By using your coverage to visit your dentist twice a year, you will reduce your risk for issues from developing, like tooth decay and gum disease. This not only keeps your smile healthy, but also reduces your long-term cost for care. In addition to preventive services, you are also given a yearly allowance to rehabilitate your dental health. After paying your deductible, your insurance will cover as much as 80% of common treatments, like dental fillings, root canals, and tooth extractions. Depending on your coverage, they may even pay for a portion of specialty treatments, like cosmetic services or orthodontics. We understand that your coverage may be a bit confusing. 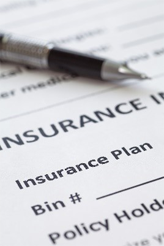 To help you maximize all your insurance options, we will work on your behalf to file the necessary claims and paperwork for proper reimbursement. We will help you understand your benefits and which treatments are covered so you are not caught off-guard by an unexpected bill.